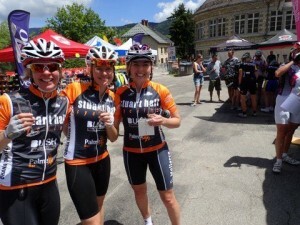 Stuart Hall Cycling experienced true girl power this weekend. 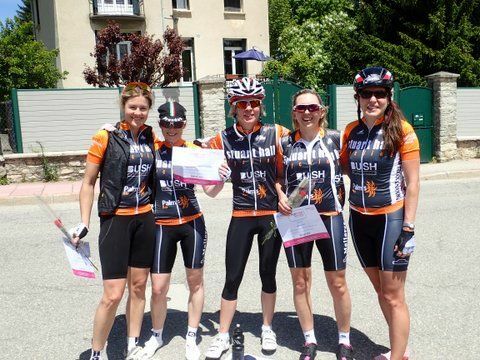 Our five women who took part in the Vercors Pour Elles, the only women-only sportive in France, all powered to the finish with gold medal qualifying times for their category. 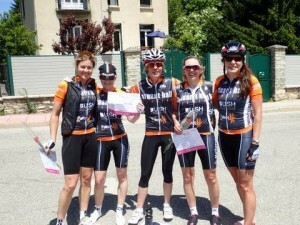 The tough event, on 30 May, covered 96km, with 1,800 meters of climbing, including the daunting Col d’Herbouilly. Out of 123 starters, Sari Masoud came in 25th overall and 7th in her age category. She was closely followed by Alicia Bamford, who was 26th overall and 14th in her category. Lucy Bonham was 28th overall and 16th in her category, Lyndsey Thompson was 33rd overall and 8th in her category and Annaliese Lancaster was 43rd overall and 20th in her age category.